Although, drug–drug interactions (DDIs) between potassium-increasing drugs (PIDs) are known risk factors for developing hyperkalaemia, not much is known about their risk and management strategies during hospitalisation. This study examines the frequency of serum potassium measurements and hyperkalaemia in hospitalised patients, based on the use of one or more PIDs, and the determinants thereof. Adult patients hospitalised in the University Medical Centre Utrecht between 2006 and 2008 were included in this cross-sectional study. The frequency of serum potassium measurements and of hyperkalaemia were compared between patients using only one PID at a time (monotherapy group) and patients using two or more PIDs concomitantly (interaction group). The determinants studied were renal failure, diabetes mellitus, use of diuretics, type of DDI, start of the PIDs within the hospital versus continued home medication and medical speciality. Serum potassium was measured more frequently in the interaction group than in the monotherapy group [67 vs. 56%; relative risk (RR) 1.19, 95% confidence interval (CI) 1.14–1.24] and the risk of hyperkalaemia was also increased in the interaction group (9.9 vs. 5.9%, RR 1.7, 95% CI 1.3–2.1). The combination of potassium-sparing diuretics plus a potassium supplement, start of the PID within the hospital and hospitalisation in non-internal medicine departments was associated with higher relative risk estimates for hyperkalaemia. Among our patient cohort, even when physicians received a direct pop-up to monitor serum potassium levels when prescribing two PIDs concomitantly, serum potassium levels were not measured in 33% of patients, and 10% of patients developed hyperkalaemia. Improved management strategies and/or clinical decision-support systems are needed to decrease the frequency of hyperkalaemia following DDIs. Drug–drug interactions (DDIs) often lead to preventable adverse drug events and contribute to the burden of drug-related health damage [1, 2]. The interaction between serum potassium concentration-increasing drugs (PIDs) is one of the most frequently occurring DDI and has been reported to occur in 8–10% of all hospitalised and non-hospitalised patients [3, 4]. Hyperkalaemia is a serious and potentially life-threatening electrolyte disorder that follows from an imbalance in potassium homeostasis . The magnitude of the risk of hyperkalaemia caused by the combined use of two or more PIDs was highlighted after the findings of the Randomized Aldactone Evaluation Study (RALES) were implemented in regular patient care. In 1999, the RALES demonstrated significantly improved outcomes for congestive heart failure patients treated with spironolactone in combination with diuretics and angiotensin-converting enzyme (ACE)-inhibitors . Five years later, in 2004, it was found that this publication had resulted in a clear increase in the prescription rates for spironolactone as well as a marked increase in hyperkalaemia-associated morbidity and mortality . The risk does not only exist for renin–angiotensin system (RAS) inhibitors and spironolactone, but also for other combinations of PIDs, including potassium supplements [8, 9, 10, 11]. Many studies have investigated the risk of developing hyperkalaemia from DDIs between PID’s, but most studies have been performed in an outpatient setting, upon hospital admission, in a specific patient group or with a specific combination of PIDs. Moreover, in these studies, serum potassium levels were often measured per protocol and were closely monitored. No published data are available on the risk and management strategies of combining PIDs during hospitalisation when the average stay is only a few days and access to laboratory measurement data is easier. Therefore, the objective of this study is to examine the frequency of serum potassium measurements and of hyperkalaemia for hospitalised patients using one or more PIDs, and determinants there of. This cross-sectional study was performed at the University Medical Centre Utrecht (UMCU), a 1042-bed academic medical centre located in the centre of the Netherlands. Between 2006 and 2008, approximately 30,000 clinical hospitalisations took place annually. All medications for hospitalised patients are prescribed using a computerized physician order entry (CPOE) system. In the Netherlands, a working group of the Scientific Institute of Dutch Pharmacists developed and maintains an evidence-based and professional guideline for the management of DDIs, called the G-standard, which is described in detail elsewhere . For clinical risk management purposes, the G-standard is incorporated into the CPOE system . All drugs in the G-standard are coded according to the Anatomical Therapeutical Chemical Classification (ATC) index. The ATC code system is an international standard for drug utilisation studies determined by a World Health Organisation (WHO) International Working Group . Each DDI in this guideline was assessed by four core parameters: (1) evidence on the interaction; (2) clinical relevance of the potential adverse reaction resulting from the interaction; (3) risk factors identifying patient, medication or disease characteristics for which the interaction is of special importance; (4) incidence of the adverse reaction. Based on the information in the G-standard, the CPOE generates an alert when a combination of two or more interacting drugs are prescribed concomitantly. In the case the concomitant prescribing of two PIDs, the physician receives a direct pop-up that there is a risk of hyperkalaemia and that the serum potassium levels should be closely monitored. For research purposes all prescriptions are routinely exported into the Utrecht Patient Oriented Database (UPOD), which is an infrastructure of relational databases comprising data on patient demographics, hospital discharge diagnoses, medical procedures, medication orders and laboratory tests for all patients treated at the UMCU since 2004. This database is described in detail elsewhere . All patients aged >18 years who were hospitalised in the UMCU between 2006 and 2008 for ≥24 h and who were prescribed at least one PID were enrolled in the study. If a patient was admitted during the study period to the hospital more than once, only the first admission was included. Patients admitted to the dialysis department were excluded because patients with end-stage renal disease lack the renal compensation mechanism for potassium homeostasis and large variations in serum potassium levels may occur due to dialysis. Patients admitted to the intensive care (IC) units were also excluded because a different CPOE system is used in the IC units and the prescription data are not (yet) stored in the UPOD database. Patients who were prescribed one PID (monotherapy group) were compared to patients who were prescribed two or more PIDs concomitantly (interaction group). In this study, PIDs were defined as: (1) RAS inhibitors, (2) potassium-sparing diuretics or (3) potassium supplements. The professional DDI clinical risk management guideline has defined a combination of these drugs as a risk for developing hyperkalaemia. Other combinations of potentially PIDs mentioned in literature, such as nonsteroidal anti-inflammatory drugs, β-adrenergic blocking drugs, heparin and trimethoprim, are not considered to be sufficiently relevant by the professional DDI clinical risk management guideline and were therefore not included. Two different outcome measures were studied: (1) frequency of serum potassium measurements and (2) frequency of hyperkalaemia. The frequency of serum potassium measurements was defined as the percentage of patients for which a serum potassium level was measured at least once during the hospitalisation period. The frequency of hyperkalaemia was defined as the percentage of patients with any serum potassium measurement ≥5.5 mEq/L during the hospitalisation period. Renal function: glomerular filtration rates were estimated (eGFR) using the Modification of Diet in Renal Disease (MDRD) equation [16, 17] using the highest serum creatinine level measured during the hospitalisation period. A decreased renal function is a known risk factor for hyperkalaemia. Diabetes mellitus: a patient was considered to have diabetes mellitus when one or more medication orders for any anti-diabetic medication had been prescribed during hospitalisation. Anti-diabetic medication was defined as medication with ATC code “A10”. Diabetes mellitus is also a known risk factor for hyperkalaemia. Type of combination: in the interaction group three combinations are possible, namely (1) RAS-inhibitor + potassium-sparing diuretic, (2) RAS-inhibitor + potassium supplement, (3) potassium sparing diuretic + potassium supplement. Start at home or start during hospitalisation: in the monotherapy group, start at home was defined as the first PID prescribed in the CPOE system within 24 h of arrival in the hospital. In the interaction group. start at home was defined as the second PID prescribed in the CPOE system within 24 h of arrival in the hospital. PIDs prescribed >24 h after admission were considered to be newly started within the hospital. Department: internal medicine departments versus non-internal medicine departments. Internal medicine departments were defined as general internal medicine departments (namely. Heart & Lung departments and the departments of Geriatrics, Nephrology and Oncology). Non-internal medicine departments were mainly the Surgery, Neurology, Psychiatry and Gynaecology departments. Relative risks (RR) with corresponding 95% confidence intervals (CI) were calculated for both outcome measures. The SPSS Package for Social Sciences software (SPSS) ver. 15.1 for Windows (SPSS, Chicago, IL) was used to analyse the collected data. A total of 9,441 patients using at least one PID were included in this study of whom 1,396 (14.7%) used two or more PIDs concomitantly at a time during their hospitalisation (interaction group). On average, patients using ≥2 PIDs were older, had a worse kidney function and used anti-diabetic drugs and diuretics more often than patients using only one PID (monotherapy group) (Table 1). Of the patients in the monotherapy group, 35% started PID therapy during their stay in the hospital; of those using ≥2 PIDs, 50.4% were first prescribed the second PID during their hospital stay. Serum potassium was measured more frequently in the interaction group than in the monotherapy group (67 vs. 56%, respecively, RR 1.19, 95% CI 1.14–1.24), and the risk of hyperkalaemia was also higher in the interaction group (9.9 vs. 5.9%, respectively, RR 1.7, 95% CI 1.3–2.1) (Table 2). For patients whose potassium was measured at least once, a median of 0.67 measurements per hospital admission day were performed in the interaction group and 0.50 in the monotherapy group. There were no differences in the relative risk estimates between the monotherapy and interaction groups when age, gender, renal function, diabetes and use of diuretics were stratified. The absolute risk of hyperkalaemia, however, was higher in patients with an eGFR ≤50 mL/min (p < 0.01 for both monotherapy and interaction groups). Comparison of the risk of hyperkalaemia for the different interaction types revealed that the risk was higher for the combination of a potassium supplement plus a potassium-sparing diuretic (RR 3.0, 95% CI 2.0–4.4) than for the two other combinations: a potassium-sparing diuretic plus RAS-inhibitor (RR 1.5, 95% CI 1.1-2.1) and a potassium supplement plus RAS-inhibitor (RR 1.3, 95% CI 0.9–2.0). The relative risk estimate was also found to be higher when the PIDs were first prescribed during hospitalisation (RR 2.14, 95% CI 1.60–2.88) than when they were already started at home (RR 1.13, 95% CI 0.77–1.66). Serum potassium levels were measured more frequently when PIDs were started during hospitalisation in both the interaction (63.0 vs. 70.2%, p < 0.01) and the monotherapy group (52.1 vs. 63.6%, p < 0.01). When stratifying for type of department, the relative risk estimate for developing hyperkalaemia was found to be higher for patients hospitalised in non-internal medicine departments (RR 2.7, 95% CI 1.7–4.3) than in those hospitalised in internal medicine departments (RR 1.3, 95% CI 1.0–1.6). Serum potassium measurements were made more frequently for patients of both groups hospitalised in internal medicine departments than in non-internal medicine departments (monotherapy: 66.4 vs. 47.5%, p < 0.01; interaction groups: 68.6 vs. 62.1%, p = 0.018). In the patients of our hospital who participated in this study, serum potassium levels were measured in only 56–67% of patients using one or more PIDs. Hyperkalaemia, defined as a serum potassium concentration ≥5.5 mEq/L, occurred in 6–10% of patients. The absolute risk for developing hyperkalaemia was highest for patients with a eGFR ≤50 and for patients with diabetes mellitus. However, the relative risk estimates for comparing interaction to monotherapy were not increased for age, gender, kidney function and diabetes. When using two or more PID’s concomitantly, the risk of hyperkalaemia was elevated in patients using a combination of a potassium-sparing diuretic with a potassium supplement, in patients starting their PID therapy during their hospitalisation period and in patients hospitalised in non-internal medicine departments. Serum potassium measurements were made more frequently for patients in the interaction group than for those in the monotherapy group. This may suggest that the interaction alerts, namely, direct pop-ups advising physicians to monitor potassium levels, were indeed (partly) effective. However, the higher frequency may also be due to the longer hospital stay of patients in the interaction group and differences in patients characteristics between the interaction group and monotherapy group. 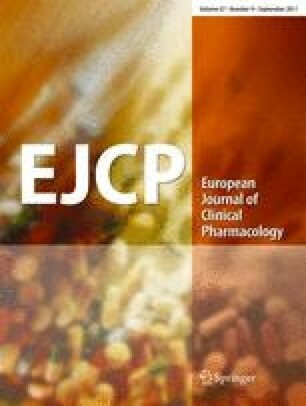 To check our assumption that the higher frequency of serum potassium measurements in the interaction group was indeed caused by a drug interaction signal, we compared the interaction and the monotherapy groups for the measurement of two ‘neutral markers’, that is leukocyte count and haemoglobin level. We found that both markers were measured more frequently in the interaction group than in the monotherapy group (66 vs. 58%, p < 0.01 for haemoglobin level, and 63 vs. 51%, p < 0.01 for leukocyte count, respectively; results not shown). This result indicates that the higher frequency of potassium measurements in the interaction group may not be (entirely) due to warnings about the drug-drug interaction, but may also be explained by differences in patient characteristics between patients using only one PID and patients using ≥2 PIDs. Apparently, more laboratory measurements were required in the interaction group, which may suggest that these patients were more severely ill or that they had more complex diseases or more co-morbidity. As shown in Table 2, serum creatinine and serum potassium were always almost measured simultaneously. When renal function was known, serum potassium was measured in 97–99% of patients, while if it was unknown, serum potassium was measured in only about 3% of patients. It is likely that the same holds true for the measurement of, for example, sodium. As such, serum potassium measurements may not always be carried out with the intention to monitor potassium, but simply as an adjunct. As expected, the frequency of hyperkalaemia was much higher in patients with an estimated eGFR ≤50 mL/min than in patients with an estimated eGFR >50 mL/min. Patients with chronic renal failure are known to be at risk of developing hyperkalaemia . It is also known that the use of a PID may contribute to this risk in patients with renal failure . In our patient cohort, however, this risk did not further increase for patients using ≥2 PIDs (15.8 vs. 16.9% for the monotherapy and interaction groups, respectively). It is possible that monotherapy already requires the maximum capacity of renal autoregulation. If so, this may not leave much space for a further increase in risk when ≥2 PIDs are used concomitantly. A comparable result was seen in diabetic patients: diabetes is a known risk factor for hyperkalaemia [10, 19, 21]. In our study however, the introduction of a second PID did not increase the risk, suggesting that risk factors for developing hyperkalaemia due to a DDI are not the same as those for developing hyperkalaemia after a DDI. The frequency of hyperkalaemia in patients using a thiazide diuretic seemed to be lower than that in patients without diuretics, which is suggestive for a protective effect in both the monotherapy and interaction groups. This protective effect was not seen for the use of loop diuretics or for the combination of a thiazide and a loop diuretic in the co-medication group. The use of diuretics is a known protective factor for the development of hyperkalaemia . Weinberg reported a 59% reduction in the probability of hyperkalaemia with the use of diuretics; however, thiazide diuretics, not loop diuretics, were found to contribute the most to this effect . A comparison of the different combinations of PIDs revealed that hospitalised patients using potassium-sparing diuretics combined with potassium supplements had the highest risk of hyperkalaemia. Of course, the risk of hyperkalaemia is obvious for this combination, and some authors have even argued that an alert is superfluous in this situation . Indermitte et al. found that the use of potassium supplements contributed most strongly to the velocity of developing hyperkalaemia , while others found that the combination of PID with RAS-inhibitors was the strongest predictor to develop hyperkalaemia in hospitalised patients . Patients who were started on interacting PIDs during hospitalisation were at a higher risk developing hyperkalaemia than patients who were started taking their interacting PID therapy at home. One possible explanation may be when the interacting medication was started at home, prior to hospitalisation, serum potassium levels may already have been monitored before the patient was hospitalised. Adjustments may have been made, such as by decreasing the dose of the PIDs or adding medicine to the therapeutic regimen for decreasing the potassium serum level . It may also be possible that the PIDs caused only a temporary rise of serum potassium levels. Moreover, one might expect that physicians are more inclined to monitor the effects of newly added medication than of continued home-medication . Indeed, the serum potassium levels were measured somewhat more often in the group of patients who started the PIDs in the hospital than in the group of patients who continued their PID home-medication. This was seen in both the monotherapy and interaction group (63.6 vs. 52.1%, p < 0.01 and 70.2 vs. 63.0%, p < 0.01 respectively). Finally, the relative risk estimate for developing hyperkalaemia was higher for patients hospitalised in non-internal medicine departments (RR 2.7, 95% CI 1.7–4.3) than in patients hospitalised in internal medicine departments (RR 1.3, 95% CI 1.0–1.6). The frequency of serum potassium measurements was also increased for patients with an interaction (47.5 vs. 62.1%, RR 1.3, 95% CI 1.2–1.4), but the absolute frequency of serum potassium measurements was remarkably low for patients with monotherapy in the non-internal medicine departments. This may once again suggest that warning signals were followed. The frequency of the measurement of the two neutral markers, however, were also different (54.2 vs. 40.2%, p < 0.01 for leucocytes and 62.3 vs. 50.3%, p < 0.01 for haemoglobin), which means that differences in patient characteristics may have played a role as well. Moreover, the frequency of serum potassium measurements in the monotherapy group of the non-internal departments is relatively low, which may reflect the fact that physicians working in non-internal departments are less preoccupied with serum electrolyte levels than their counterparts working in internal medicine departments. As such, they may be less aware of the risk for developing hyperkalaemia when prescribing a PID. Therefore, special attention is needed for patients using PIDs in non-internal medicine departments. There are a number of limitations to our study. First, one potential limitation may be that nonsteroidal anti-inflammatory drugs, β-adrenergic blocking drugs, heparin and trimethoprim were not included in our definition of a PID. The exclusion of these drugs was deliberate as they increase serum potassium levels to a far lesser extent than RAS-inhibitors, potassium-sparing diuretics and potassium supplements. As such, the former are not included in the G-standard as DDIs, and the CPOE does not generate a pop-up to warn for hyperkalaemia. Second, the local hospital setting may limit the generalisability of the results. Finally, as this is an observational study, patients were not randomised to either the monotherapy or the interaction group, and serum potassium levels were not measured per protocol. The differences in baseline characteristics make it very clear that the patients in the monotherapy and the interaction group are not the same. In addition, serum potassium levels were not measured systematically in all patients, but were known for only 56–66% of patients, meaning that there is a testing bias . As such, this study does not aim to answer the etiologic question about the contribution of DDIs to the risk of developing hyperkalaemia. The objective was to study the consequences of a frequently encountered DDI in daily hospital practice and to gain insight in the determinants thereof. Consequently, the adjusted relative risk estimates have consciously been omitted from Table 2, and only uni-variate analysis were performed. The message is not so much that these DDIs cause hyperkalaemia but that, in daily practice, patients in the interaction group deserve extra attention and that serum potassium measurements should be made more frequently. At our hospital, when two PIDs are prescribed concomitantly, physicians directly receive a pop-up that there is a risk of hyperkalaemia and that the serum potassium levels should be monitored closely. However, we found that this advice was not followed in 33% of patients. One of the reasons for this may be that the warnings are not always appropriate. The DDI signal always appears when a DDI occurs, even if the serum potassium level is actually low, which may cause alert fatigue [26, 27]. Another reason may be that the alert to monitor potassium serum levels only occurs when the medication is started. There are no subsequent reminders, while in fact it will take at least a few days before a rise in serum potassium levels can actually be determined. More advanced methods of clinical decision support may be suitable to improve the management of this DDI and to reduce the frequency of hyperkalaemia. For example, it may be worthwhile to generate a reminder every 3–4 days to monitor serum potassium for all hospitalised patients using two or more PIDs. Another possibility would be to link laboratory and medication data and to generate a warning when serum potassium levels increase above a certain limit for patients using one or more PIDs. The authors do not have a potential conflict of interest. The Department of Pharmacoepidemiology and Pharmacotherapy employing authors W.W.v.S. and A.C.G.E. have received unrestricted funding for pharmacoepidemiological research from GlaxoSmithKline, Novo Nordisk, the private–public-funded Top Institute Pharma (http://www.tipharma.com, includes co-funding from universities, government and industry), the Dutch Medicines Evaluation Board and the Dutch Ministry of Health. The authors are grateful to Hanneke den Breeijen for the data analysis and to their colleagues at the Utrecht Institute for Pharmaceutical Sciences and the UMC Utrecht for their support in establishing and maintaining UPOD.